Craig — Sportsmen in the United States have a lot of choices about where to hunt, but with 23 million acres of public lands and the largest elk herds in North America, Colorado has much to offer. With the over-the-counter option, a hunter can drive in from another state and is able to immediately buy a license to hunt bull elk during the second and third rifle seasons, according to Porras. Colorado also has 30 state parks that offer hunting, giving outdoorsmen and women the option to enjoy the restrooms and other facilities that come with a stay at a state park. Besides elk, Colorado is also home to mule deer, whitetail deer, antelope, moose, turkeys, bears and mountain lions, as well as many other small game and birds available to hunters. Nonetheless, some hunters save up many years of preference points in hopes of drawing a tag in certain prized units. “For some hunters, drawing a license in some of the limited units is kind of the holy grail,” Padia said. Sportsmen who travel across state and regional boundaries may encounter different hunting practices such as the system used to count antler points. In Colorado, a deer or elk with four points on each antler would be referred to as a four-point buck or bull, according to Padia, whereas the same animal would be called an “eight-point” in the east, said Sargeant Chris Hodge with the Georgia Department of Natural Resources Law Enforcement Division. It’s also standard practice in Georgia — where whitetail deer are one of three main game animals including turkeys and black bears — to count the brow tines or eye guards in the total number of points, Hodge said. 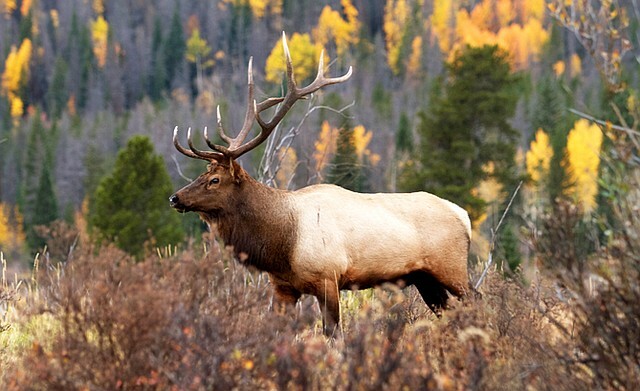 In Colorado, however, they’re typically not counted on a deer, but are counted on elk. To help hunters take advantage of the wide range of options available to them, Colorado offers a hunt planning team. 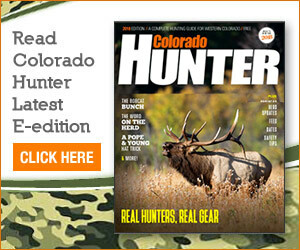 To take advantage of this service and plan your next Colorado hunt, call 303-291-PLAN. Contact Lauren Blair at 970-875-1794 or lblair@CraigDailyPress.com or follow her on Twitter @LaurenBNews.